Local source, Los Angles Times reported residents of working-class neighborhoods in Compton and Willowbrook have long fought an uphill battle against their local water district, which over the years has been accused of mismanagement, nepotism, bad service and, most recently, sending brown, smelly water through their taps. Still, Sativa Los Angeles County Water District managed to stay in business. But on Wednesday, residents won a decisive victory when county authorities voted unanimously to dissolve the troubled agency. The action by L.A. County’s Local Agency Formation Commission, or LAFCO, kicks off a lengthy and rare process to get rid of a water district. It is the third time that LAFCO has tried to take over or merge Sativa with a larger water provider. Past efforts fell short when the district fought back and other suitable water providers failed to emerge. But this time the oversight officials said they are committed to providing Sativa customers with clean drinking water — something they no longer believe the district can offer. “There’s a concern about the fact that there have been promises made by the prior board, the general manager and yet it’s not getting better,” said county Supervisor Kathryn Barger, who is a member of the commission. Though Sativa only serves Willowbrook and a small portion of Compton, it has become a larger symbol of the challenges communities face in holding California’s patchworks of small special districts accountable. In 2016, about 4,900 special districts provided services such as fire protection, flood control, library and water statewide. Many operate under relative obscurity with limited public oversight until they are embroiled in controversy, corruption or face financial hardships. Compton resident Darik McGhee said LAFCO’s decision to dissolve Sativa empowered his neighbors and validated the concerns of the community. According to Sativa, the agency delivers drinking water to 1,600 homes. It said customers pay a flat rate of $65 a month, which brings in about $1.3 million in revenue a year. Sativa says it lacks the estimated $10 million to $15 million needed to upgrade the 70-year-old pipes responsible for depositing manganese in drinking water, which can make faucets run brown. For years, customers noticed that discolored water occasionally poured from their taps. 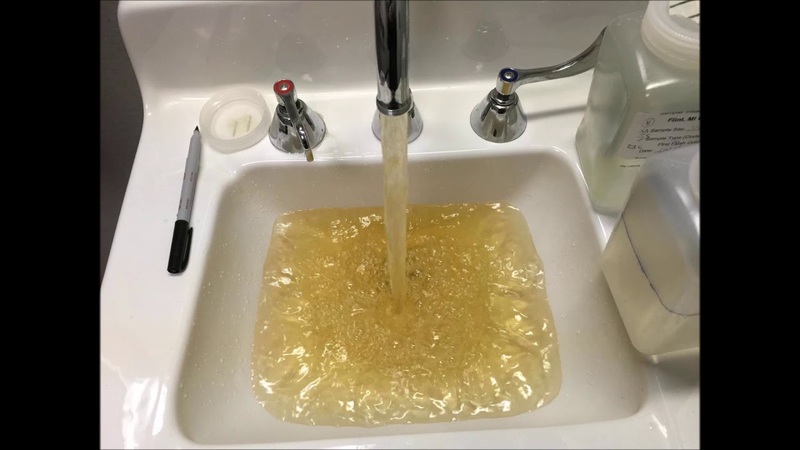 In recent months, they said it got worse, and complaints of brown or urine-colored water that sometimes smelled of chlorine or rust mounted. County officials say that despite elevated levels of manganese, the water is safe to drink. Still, Supervisors Mark Ridley-Thomas and Janice Hahn launched a separate effort Tuesday petitioning the State Water Resources Control Board to hand over daily operations of Sativa to the county’s Department of Public Works. If the State Water Resources Control Board exercises its authority, it could petition courts to temporarily hand over control of Sativa and its assets to another agency while LAFCO finds a permanent replacement, said Kurt Souza, the state board’s assistant deputy director of the division of drinking water. Another option is for the state board to appoint an administrator to run Sativa — but the state would have to pay that person’s salary. Both routes have risks and challenges — and neither is a common course of action. With or without the State Water Resources Control Board’s involvement, LAFCO will seek a suitable water provider that can serve residents. As that hunt is underway, Sativa could protest the dissolution by galvanizing support among residents or filing a lawsuit. The push to dissolve Sativa comes two days after several Sativa customers filed a class-action lawsuit accusing Sativa of failing to provide quality drinking water, misappropriating taxpayer dollars and causing a financial burden on its low-income customers. Sativa has also faced scrutiny after the Los Angeles Times reported allegations that the district had hired paid supporters to attend a June forum to address dirty water. Sativa’s board and its administrative manager, Maria Rachelle Garza, strongly denied any involvement. Days later, Garza was placed on leave. The latest effort to shutter Sativa could take months or years — if it is successful at all. Sativa successfully fended off two previous attempts to dissolve the district. A 2005 review by LAFCO found that Sativa operated without a budget, an auditor or a general manager, but the water district was granted a second chance. Seven years later, a review revealed that the then-board president had hired his wife and stepdaughter and that board members had awarded themselves illegal Christmas bonuses. The board pushed back hard, and LAFCO officials backed off. Luis Landeros, Sativa’s board president, did not respond to a request for comment after the dissolution vote. Thomas Martin, a former Sativa general manager recently rehired as interim general manager, pleaded at the hearing for LAFCO to give the district time to fix its problems. He said Sativa would obtain funding from the Water Replenishment District of Southern California to address some water issues. Hahn, one of Sativa’s most vocal critics, questioned the work Martin had done to fix the problems at the district when he served as general manager last year. “It’s clear that the problem still exist,” she said. “For 2 ½ years I tried to do my best,” Martin said. “But then again, you left,” she responded. “We’re starting to feel that no matter who is general manager, no matter who sits on the board, nobody sees it through to make sure the consumers of Sativa water have clean, safe water to drink. “We’re sort of done giving you another chance,” she said. After the vote to dissolve, the crowd erupted in applause and cheered.